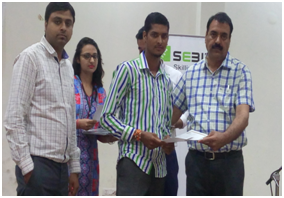 Chandigarh, 23rd August,2016: S.E-Biz Infotech Ltd. in collaboration with State NSS Cell Chandigarh, organized a Certificate Distribution Programme at Sebiz Center,Chandigarh, where students who were trained under the Flagship scheme PMKVY were awarded PMKVY Certificates and Skill Cards .The students were provided Training by Sebiz Infotech in Tourism & Hospitality, Retail and Telecom Sectors. 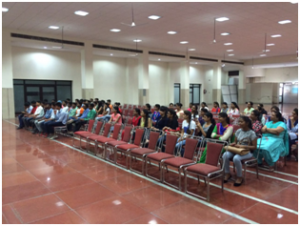 More than 100 students participated in this event. 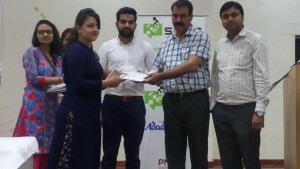 Sebiz is Collaborating with the Indian Government as a certified NSDC-PMKVY partner and has also been involved in training and education for over 10 years and for the past 4 years has been actively partnering in Government Projects for IT and vocational training for lower income and BPL categories with both – Central and State Government organizations. Sh. 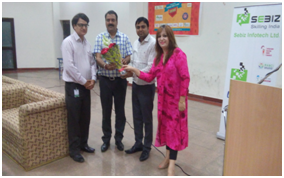 Bikram Rana-State Liaison officer Chandigarh, was the Chief Guest for this occasion. He distributed the certificates to the students. Addressing the gathering Mr. Rana congratulated the students and motivated them to take this opportunity to be financially independent. He said that future belongs to the skilled youth of the nation and we all have to work hard to cover the skill gap. 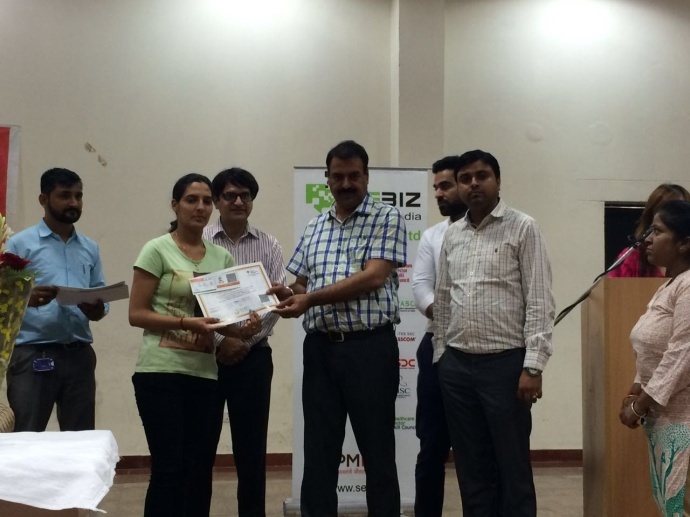 He appreciated the efforts of Sebiz Infotech and its Team which is headed by Mr. Gagan Bhargav (Head Govt. Business, Sebiz Infotech) – an organization that is moving forward with the vision of skilling India.